This is my first table upload on Pinball Nirvana. This is a fullscreen table not a desktop. I spend one mont to built it. On the center if you hit the target stay a kick ole that put the ball in store balls for multiball. 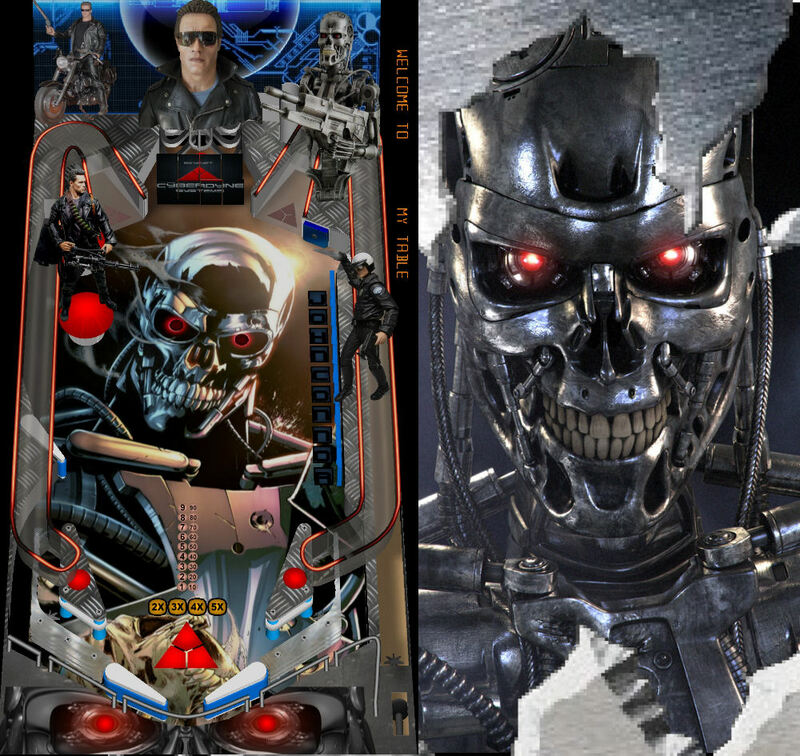 The pinball is fast action and have toys of Arnold Shwarzenegger and T 800,there are the voice of the film Terminator2 and metal soundtrack. Last edited by makkiafra; 03-09-2013 at 01:36 PM.